So this question has been floating around in internet-sphere for some time. I think the picture was first posted on Tumblr, but it has since been reposted to Twitter (and can be found using the hashtag #TheDress), Instagram and Facebook also. I personally see both colours. 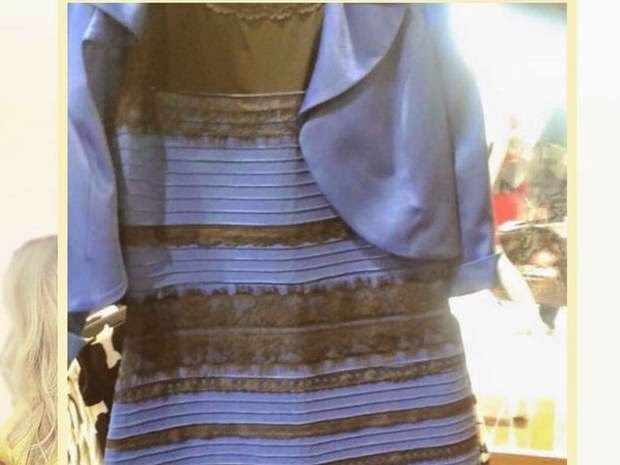 For me The Dress goes from being black and blue to white and gold if I stare at the image for long enough. During the transition I see the dress as blue and gold too! This is a picture of the original dress. What colour do you think #TheDress is? Is it blue and black or white and gold?